The room was pretty full. It was warm but a gentle breeze was blowing—that would change. There was fear in the room. The Roman army was a thing to be feared, they had just crucified Jesus and it was a dangerous thing to associates of an executed criminal. They were also anxious about the promise. The only thing they knew about God descending in fire was the experience of their ancestors at Mount Sinai. When that happened they all ran and hid and said to Moses, Never let God speak to us again; you go talk with Him and come back and tell us what the said. Pentecost was approaching. 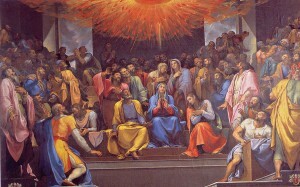 Pentecost means “the 50th day.” Fiftieth day from what? 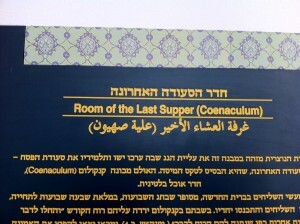 From the Passover. 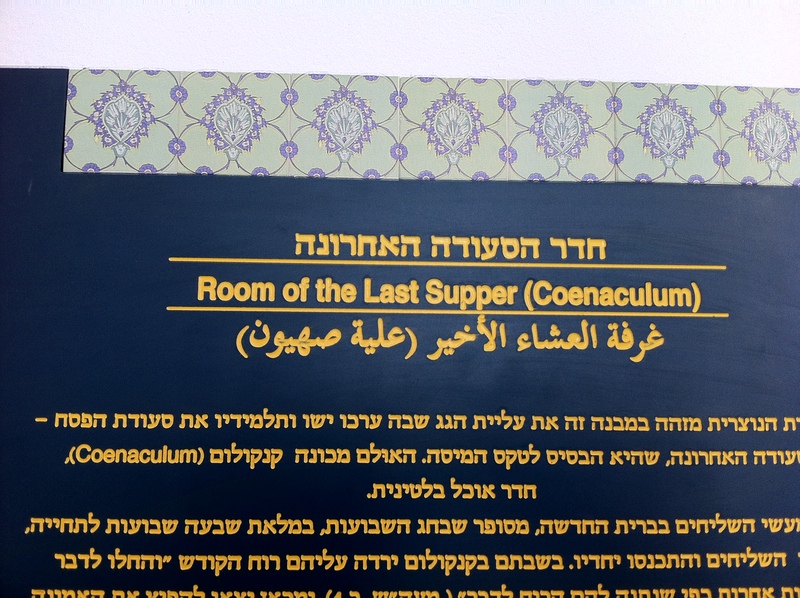 Almost fifty days ago the Passover lambs had been slain, and so had THE Passover Lamb. Then there was the forty mystery days when Jesus was gone but not gone—with them but not with them, at least not like before. And he kept just appearing and then disappearing. He taught them a lot in those forty days, He had breathed on them, gave them power to forgive and retain sins, fed them loaves and fish, appointed Peter as his shepherd, commanded them to go out from Jerusalem to the world. He explained to them much about the Kingdom of God and their tasks as His emissaries. The last meeting was the most unusual of all. He answered a few questions, gave a few instructions and without even a formal Good-bye He started going up—and continued going up until all they saw was the bottom of his sandals as he disappeared into a cloud. Daniel 7:13-14 says he went back to the glory of heaven. They looked at each other with obvious concern on their faces—they were fearful. They locked themselves in the Upper Room to pray as He had commanded. They were praying for what they feared—fire upon a mountain, Mount Zion. They prayed for nine days, the first Novena, before the promise of the Holy Spirit fell. We are specifically told that there were about 120 people in the room. Actually the word is “names” not people. How strange. 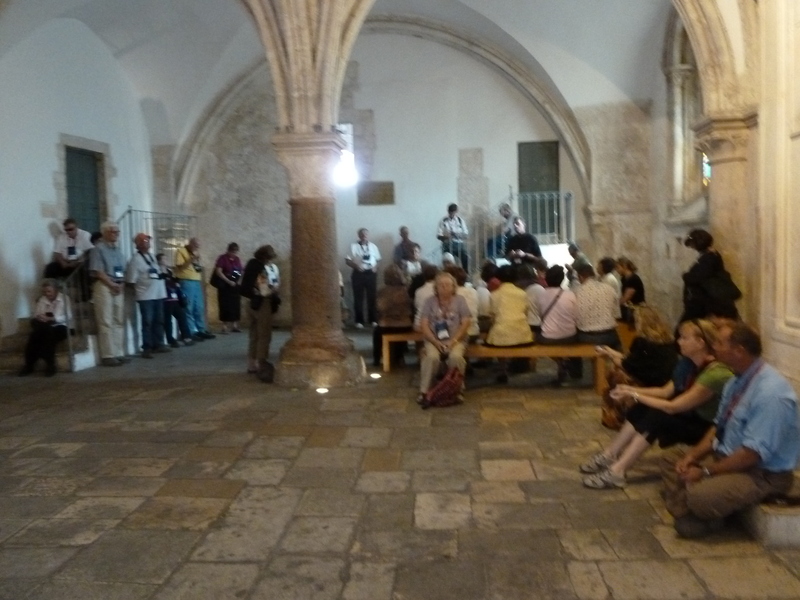 Can you imagine me saying, “About 120 names came on our pilgrimage to the Holy Land”? This made me curious so I looked up 120 in early Jewish literature and law. Sure enough, my research paid off. In Israel is a group of Jews desiring to leave the big city and start their own new community they needed a minimum of 120 names on a list. What was happening here in the Upper Room? A new community was being started. 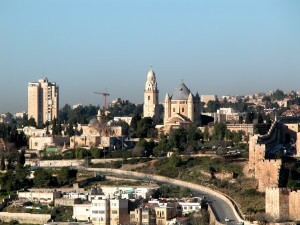 The word “church” in the New Testament is ecclesia which means “a group of people called out.” Even today the Knessett (lawmaking body in Israel) is made up of 120 representatives. This certainly implies the Church is not just a loose association of like-minded followers of Jesus. It is a social structure with legal boundaries. It has it’s own legislature, courts and hierarchy. It is a “new city” with a constitution and authority. You are in or out. This is exactly what the Church is – with leaders having the authority to bind and loose, make laws and adjudicate them, include or exclude people from the organization, to forgive or retain sins. Only the worldwide Catholic Church could even begin to claim this status. 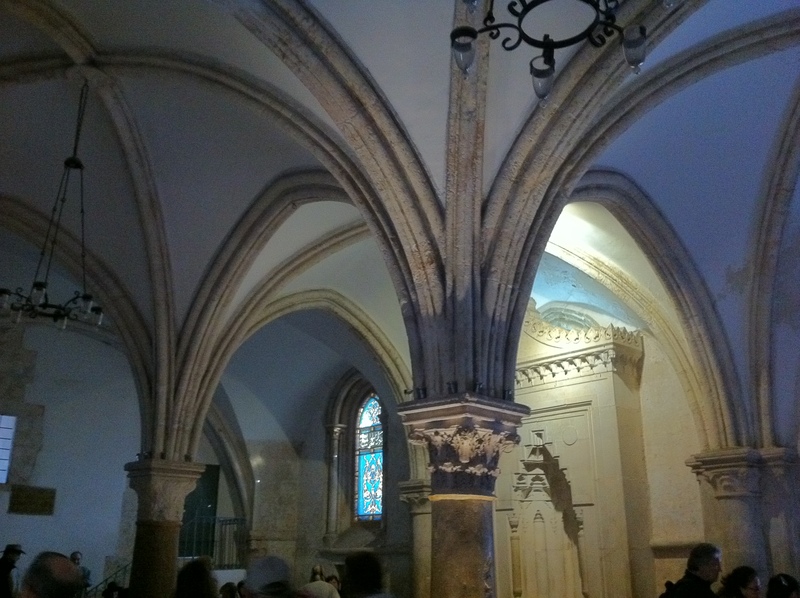 Mary is listed among the believers in that Upper Room. It was important that she is listed among the names with others. She is the mother of Jesus. She gave birth to him in Bethlehem as was, in a sense, giving birth to him again on Pentecost. 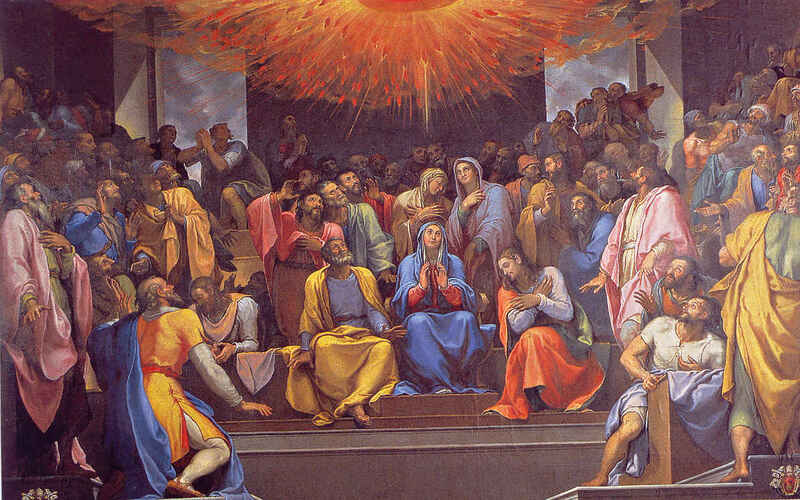 What is our affectionate term for Pentecost? Can you sing “Happy Birthday, to you…”? Yes, it is the Birthday of the Church. What is being born? The Mystical Body of Christ. Who is there for the birth? The mother of course. Mothers have to be present when their child is born. Mary is the mother of Jesus the God-Man and Mary is the Mother of the Church, the Body of Christ. She was necessarily present at both births. 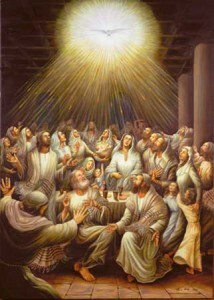 Mary was also there because the others were afraid of the descent of God in fire on this new mountain. I am convinced they trembled in fear not only of the Jews and Romans outside, but of the prophesied “baptism of fire” within—as they wondered and feared that might be. The gentle breeze was about to become a rushing wind. After nine days of praying the Holy Spirit fell in fire on the tenth day—which was the 50th day from the death of the Passover Lamb Jesus on the cross. 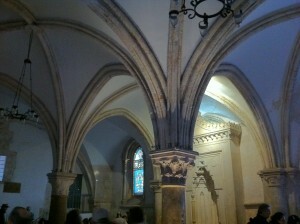 The Jewish festival of Pentecost also celebrated the first fruits of the harvest. Remember, Jesus said he was like a grain of wheat that would be buried in the ground. The grain must be buried and die to bear its fruit. Jesus died, was buried in the ground and rose from the dead as the first fruit. Now on the “Feast of First Fruits” the first of the harvest is brought to God. We learn that 3,000 people were added to the Church that day—all in keeping with the tremendous symbolism and deeper meaning to all these events. And with these deep mysteries and truths we are just scratching the surface. 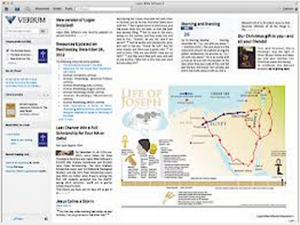 Come to the Holy Land with us, get out your Bibles and study books (or Verbum Catholic Bible Study software) and dig deeper. “There is gold in them there hills” for those with eyes to see and ears to hear and hearts and minds to learn. Enter promo code STEVERAY for a 10% discount.